Not since Homer Wells soared from the pages of John Irving's classic The Cider House Rules has there been such an important novel about women's right to choose, and about the dangers faced by women in societies - like ours, for instance - where that choice is forbidden. But while Homer Wells's odyssey from St Cloud's orphanage into the big world and back again produced a fat, generous tome spanning several decades, it was set in the pre- and post-WWII era when abortion was illegal in the US, Red Clocks is set in the near future, where abortion has been recently banned in all 50 states. 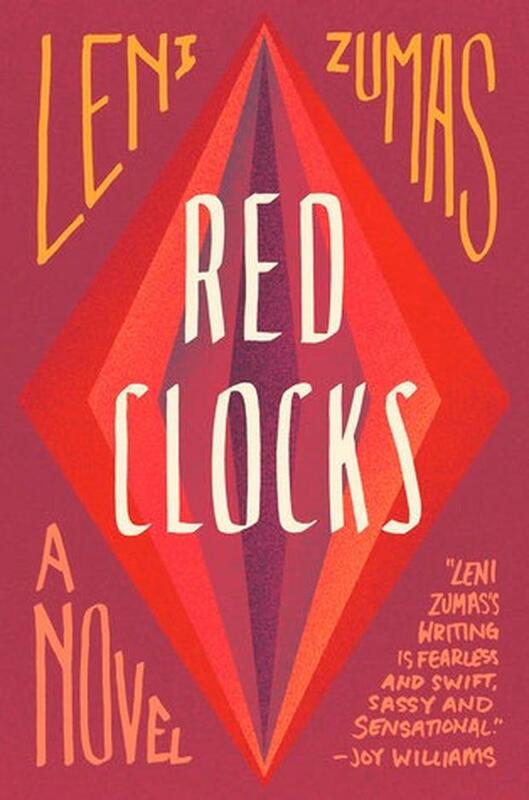 But unlike Homer's sweeping epic (Wells, that is), Leni Zumas's novel is compact, taut as a drum with a shorter, tighter timescale of a few short months. The fictional fishing village of Newville, Oregon is home to her characters. Ro "The Biographer" is a historian writing the biography of an unknown 19th Century Arctic explorer - a woman - and teaching in the local secondary school. Ro is single and desperate for a child. Her age is against her, as is her history of unsuccessful in-vitro fertilisations. Susan "The Wife" is throttled by the tyranny of stay-at-home motherhood in a loveless, bitter marriage. Gin "The Mender" is a hermit and gifted herbalist who lives in the forest and has been known to provide potions for pregnancy termination. Stumbling among them is straight-A student Mattie, pregnant and despairing, frantic to find a termination wherever and however she can. Scenes reminiscent of Annie Proulx's The Shipping News - but with kinder weather - brilliantly capture the smalltown claustrophobia of this fishing community with its ancient seafarers' superstitions and its small acts of barbarism. A scene depicting the destruction of a pod of beached whales is both shocking and despondent. Young Mattie's ambition of becoming a marine biologist - if she can ever get past her pregnancy - informed this reader of the practice in the Faroe Islands, still ongoing, of hunting and killing pilot whales; creatures which, Mattie insists "are really dolphins". The million stinging hurts embedded within a dead marriage, the ticking clock of a woman desperate to mother, the peculiar oddness but uncompromising integrity of a wise woman at sixes and sevens with the outside world are all impeccably detailed in this jewel of a novel. As political as it is intimate, as funny as it is bone-chilling and as masterful as anything written by an esteemed, accomplished author with 10 fine novels behind her, this is a must-read, especially for Irish women living in the times we're in. In the book, one poster designed for a women's protest rally reads: "Repeal the 28th Amendment". Fancy that.